In fact, it is against Federal law for an original equipment manufacturer (OEM) to deny warranty coverage based solely on the brand of lubricant used. The Warranty Secure symbol informs consumers of this fact. Using Amsoil synthetic lubricants in place of OEM-branded lubricants, or practicing extended drain intervals when using Amsoil lubricants, does not void new vehicle or equipment manufacturer warranties. The Magnuson-Moss Warranty Act makes it illegal for companies to void your warranty or deny coverage under the warranty simply because you used an aftermarket or recycled part… The manufacturer or dealer must show that the aftermarket or recycled part caused the need for repairs before denying warranty coverage. Amsoil stands behind its products and the people who use them. 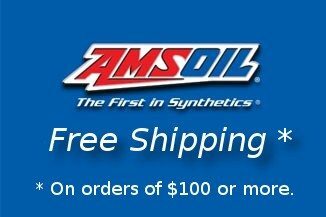 If the OEM claims use of Amsoil products violates the warranty, contact Amsoil Technical Services (715-399-TECH). 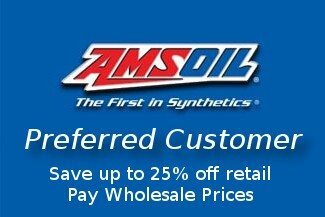 For complete information on Amsoil warranties, contact Amsoil Technical Services.